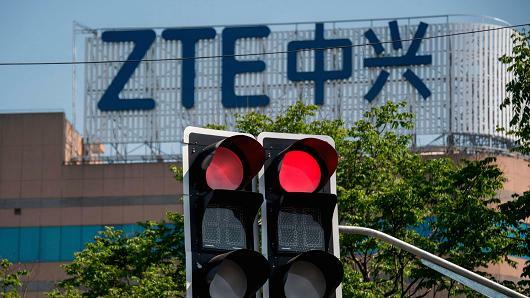 The ZTE case has exposed years of negligence and should ring alarm bells about what rigorous compliance really means at Chinese companies hoping to expand overseas, say several Chinese business academics. Many companies fail to uphold the core tenet of corporate governance – which is the “spirit of contract and compliance”, said Gao Minghua, Director of the Corporate Governance and Enterprise Development Research Center at Beijing Normal University. “Breaking a promise is a big taboo in international society, where laws and rules are stressed and any violation shall be punished accordingly,” said Gao, adding that the ZTE incident exposes deeper roots of the “Chinese way of doing business” which can involve behind-the-scenes communications and bargaining with authorities. U.S. Commerce Secretary Wilbur Ross announced last week an end to sanctions against ZTE, in an agreement that includes a USD1 billion penalty for the Chinese telecom equipment maker and the installation of a U.S.-selected compliance team at the company. However, the U.S. Congress could still block the agreement. The U.S. Commerce Department banned sales by U.S. companies to ZTE in April after it was found to have breached the terms of a previous settlement, by paying full bonuses to employees who engaged in the illegal sales of equipment to Iran, failing to issue letters of reprimand to those employees, and then lying about it to U.S. authorities. These comments were echoed by Deng Ziliang, Associate Professor of Business at Renmin University of China, who pointed out that Chinese firms hoping to expand globally should examine if there are any legal and regulatory gaps first. “Chinese companies should have a compliance team with ample staff and expertise to reduce the risk,” said Deng. “It’s obvious that they still have a long way to go.” “Hi-tech firms and those with government backing” should be especially aware of compliance risks, added Deng, as reported by the South China Morning Post. “In ZTE’s case, company management was aware of the regulations and violated them anyway,” said Liu Wenyuan, Compliance Officer of Beijing-based corporate consultancy firm Key Finder. “While it’s sometimes common in China for companies that don’t obey rules to outdo those that do, it won’t end well to apply these practices overseas,” he added.